Child Health Services | Akron Summit Community Action, Inc.
Head Start is committed to comprehensive wellness of children, families, and staff by embracing a vision of overall health. Our goal is early identification of health needs and concerns and then to assure a link between families and an ongoing source of continuous and accessible care. Parents/families are vital in their child’s health as the primary caregivers. Staff rely on families to provide important information about their children’s health and development. Any expressed concerns are carefully documented and addressed. 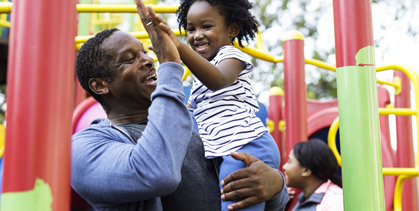 Families are encouraged to participate in health related activities, well-child care, treatment for health problems, follow-up health care and to receive training and information on child health and development. Healthy children are ready to learn. According to the research, “children who access ongoing health care have better attendance and are more engaged in learning. Consistent attendance helps children prepare for school.” To support wellness, health services in Head Start, staff partner with parent to service children have health insurance, identified medical home, completed physicals, immunizations, well-baby checks, screenings (vision, hearing, lead and iron); and regular dental (home, exams, preventative care and treatments). Communication with parents is ongoing and is a two-way process. Parents are our most powerful partners. They are notified with screening results and assisted with any follow-ups needed related to any service delivery. Parents are always encouraged to share concerns with staff. Referrals If a concern arises regarding a child's health, the parent or guardian may ask or Head Start staff may offer a referral, as applicable, to a professional who can follow-up on any concern and/or health needs. A host of community partnerships and collaborations are established to support children and families in their health needs.